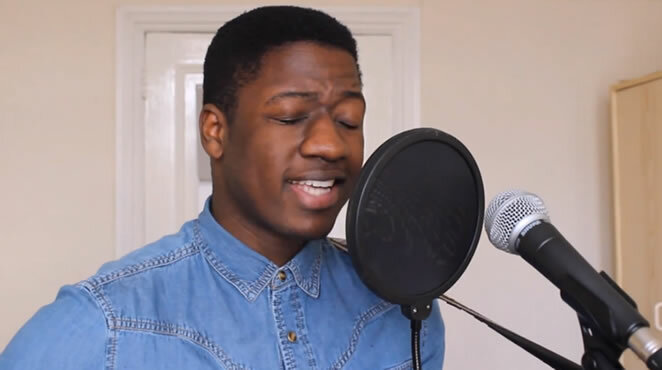 A young Zimbabwean Kelvin Jones, from Stevenage, has become an instant internet sensation after he uploaded his song on Youtube. The song, Call You Home has now has close to 900 000 hits. The song has been mentioned on US chat show Good Morning America. Kelvin moved to Stevenage from Zimbabwe 10 years ago and attended The Nobel School, before moving to The John Henry Newman School as a sixth form student. He is currently studying civil engineering at Portsmouth University but is considering dropping out to pursue a full-time career in music. He said: “I’ve been playing the guitar for about four years but singing ever since I was a little kid. I was just messing around on the guitar one day and sang the line ‘call you home’. I really felt like I was on to something so I ran with it. “I would jam with friends when I was at John Henry Newman and it really encouraged me to get better. I was okay but I definitely wasn’t great. Then I discovered BB King and that really opened up the doors to diversify the kind of music I was interested in. John Mayer is a major influence. Kelvin now plans to continue releasing covers online while he works on original material for an album. He plans to release a cover of La Roux’s Bulletproof at midnight on Friday. Kelvin mixes and produces all his music in his bedroom.